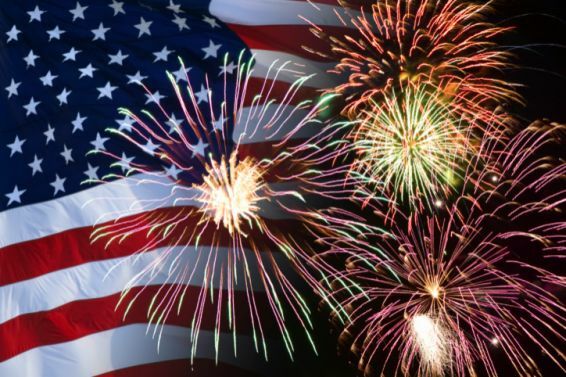 Includes 1 of the best Appetizer Menus on Maui for the 4th of July Fireworks Show! 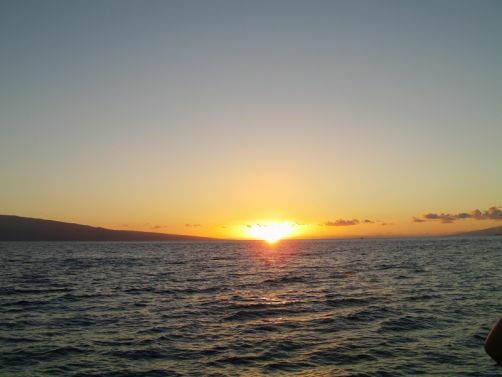 Join the crew of the Calypso as they cruise the Maui coastline, watching the sunset along the way to Lahaina. Enjoy a sumptuous Appetizer Buffet (which sounds great! 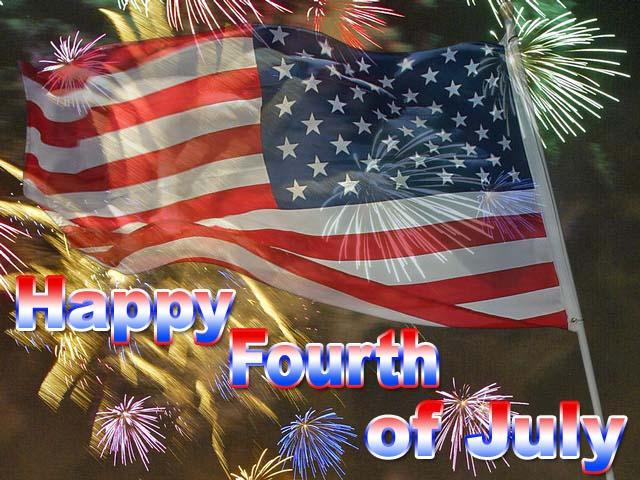 lots of food), then dance the evening away & watch the Fireworks light up the night sky over Maui, Hawaii. Chicken Skewers, Chopped Brisket Sliders, Teriyaki Pineapple Chicken Sliders, Mini Crab Cakes, Smoked Salmon with Cucumber, Ono (white Fish) and Shrimp Ceviche w/ Chips, Caprese Skewers, Fresh Fruit Plate, Veggie Plate, Spinach Dip w/ Chips, Brownies AND White Chocolate-Macadamia Nut Cookies! 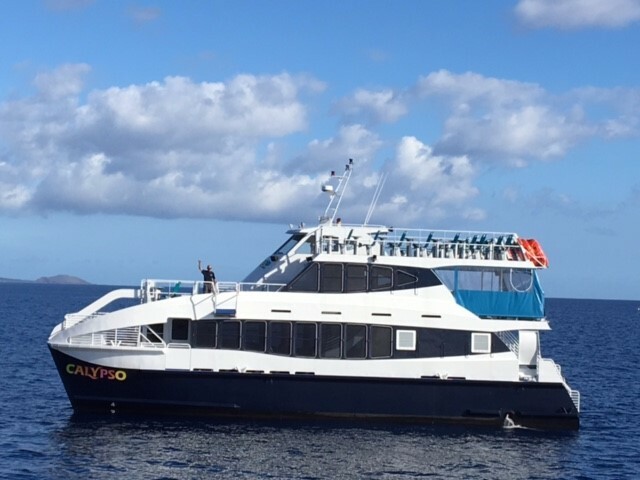 The Calypso Maui’s newest Catamaran! 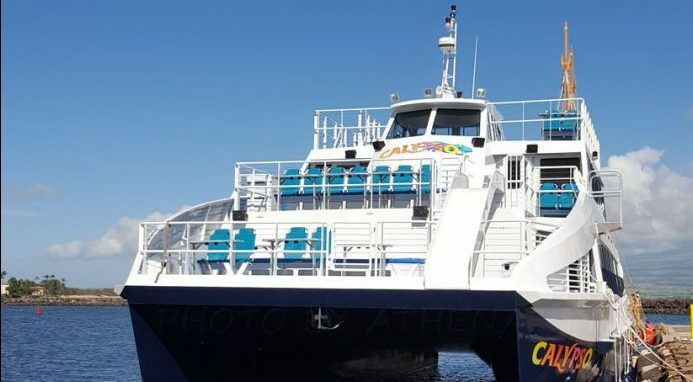 Built by Navatek LTD, Navatek Catamarans are state of the art technology and offers a super smooth ride. 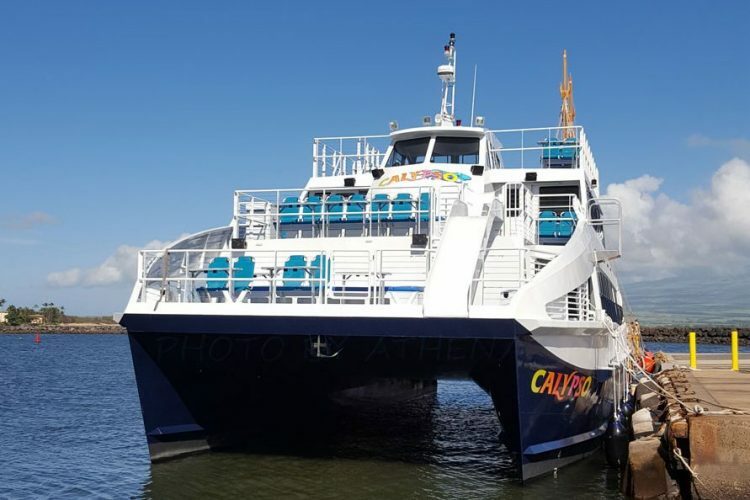 Calypso is a large Triple Deck Power catamaran with a large cabin as well as outside lower and upper deck space with tables and chairs, the Calypso holds 149 passengers. The crew is very friendly and the food is usually great! There is also easy access to bathrooms. With 3 decks, the views are great! We recommend getting to the Harbor early for parking and the best choice of seats. Calypso’s Captain will start boarding right at 5:30 PM (normally) and the line starts well before then. 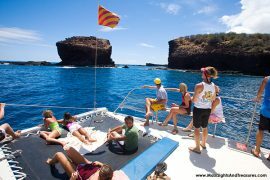 Calypso is the newest Catamaran on Maui! Bring I.D. if you plan on drinking. Sodas, Juice and Water are included in the price. Not sure which Harbor is closest to your Hotel or Condo? Call us direct for advice 808-879-6260. Ext # 1. Possibly a light jacket or sweater and $ to tip the boat’s crew. B.Y.O.B. (Bring Your Own Alcohol) Bring I.D. If you plan on drinking. Sodas, Juice and Water is included in the price. Ice on board for your drinks. ll activities are at your own risk. No liability, expressed or implied, rests with Pacific Whale Foundation Eco-Adventures or its subsidiaries or officers. All reservations are non-refundable and reschedules are not permitted within 48 hours prior to the scheduled check-in. All no-shows are nonrefundable. Pacific Whale Foundation reserves the right to reschedule or cancel due to weather at the discretion of the Captain. Destinations, menus and equipment subject to change without notice.